London for the 50th Anniversary of Land Rover In Birmingham, the UK in 1998. The group approached E-SPECTATIONS CONSULTING CC to do the expedition’s sponsorship project management and handle their media relations. Inmarsat Mini-M satellite phone with airtime which was used to provide feedback every Wednesday at a set time to Radio 702. A hosted Web site plotting the expedition’s progress through Africa with interactive links providing information about each point on the map. eBeeld (a project called KiO-Beeld), Club Internet, Station Africa Telecoms and Radio 702 launched a competition where learners in schools countrywide could win a computer and internet access for a year. (Bear in mind that in 1998, computers and internet was not as freely available in South Africa as it is today so this promotion was quite popular with the schools). 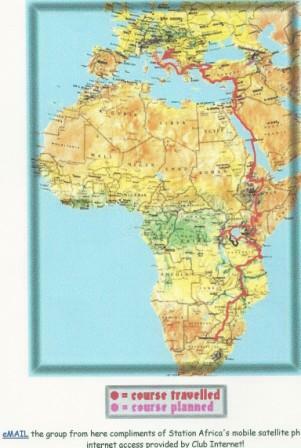 The aim was to educate the children about Africa as the group traveled up the East coast. Regular press releases to keep media with the progress of the expedition. Conceptualize schools promotion around the actual expedition – writing of a proposal with an action plan and follow-up. Presenting this concept to the sponsors and obtain consensus to support the project. Liaise with the parties involved establishing each contribution. Provide feedback to each party involved after completion of the 4-month expedition. Ensured that the draw and prize giving was done in a fair and objective way and we arranged a formal hand-over of the prizes with the appropriate media exposure. 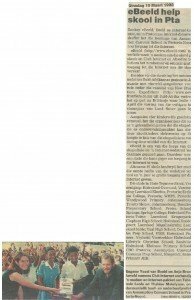 Official departure of the 6 Land Rovers – SABC news and Beeld Newspaper covered the official departure of the 6 vehicles. the photos and stories with additional educational material and links. School going children could read the information and submit answers to questions which were used as part of the competition. Assumption Convent school in Pretoria won the computer, dial-up modem and internet access for a year with. View other projects and skills or see how white hat SEO worked towards the success of this expedition. Send text SMS links – How do I send? Page Speed is it important? high quality backlinks on Page Speed is it important?